This article was printed in the Sydney Morning Herald the day after the launch. This was the first publication of the X1/9 a day after it’s release. 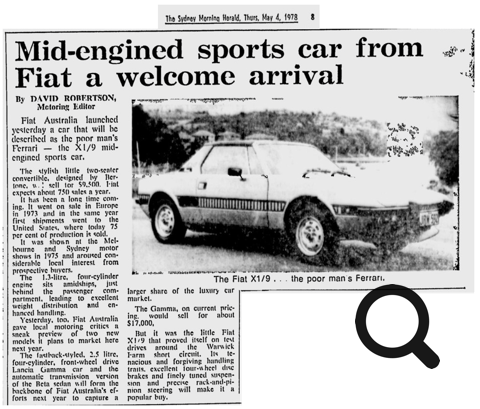 This X1/9 with plate JRN592 did most of the media rounds and is featured in many Australian auto publications of the time. It’s believed 128AS0085443 is JRN592 and is till around but not long for this world. 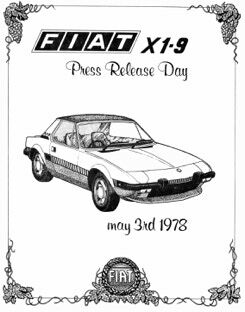 For Australia it officially all started on the 3rd of May 1978 when F.I.A.T launched the X1/9 for the Australian market. 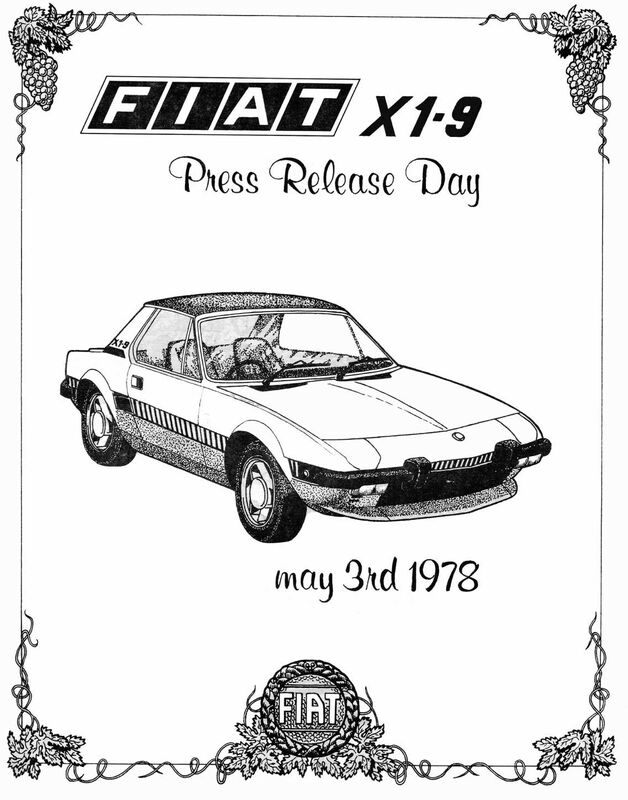 The small flyer you see here was created by Alan Steele, a member of the FIAT Club of NSW for the journalists who were at the Official Press Release Day at Warwick Farm on May 3rd, 1978. In Australia we have four different types of X1/9’s. I will explain below the main differences between these models. First lets start at the beginning, the 1978 Series 1 (Series Special). 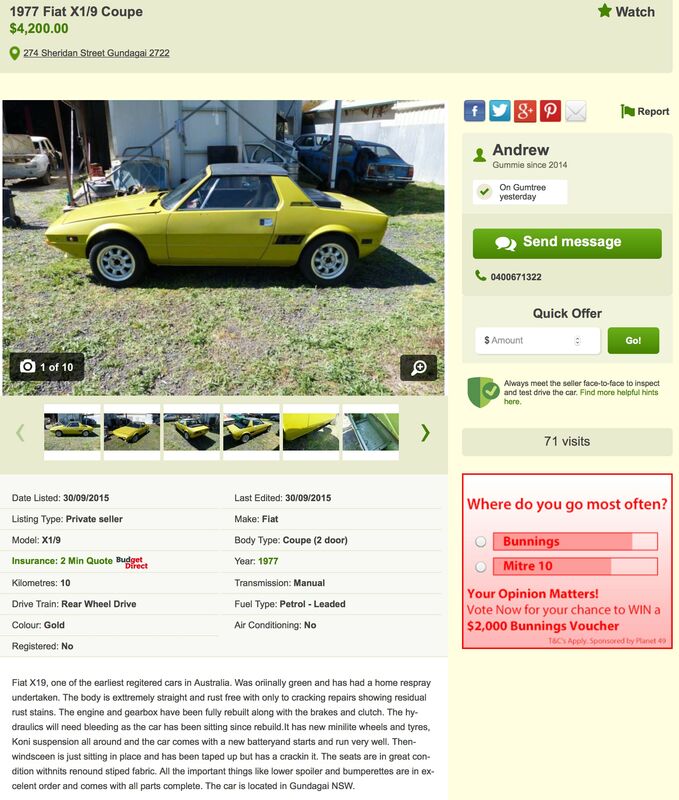 This was the first of the X1/9’s officially imported into Australia. They only came in three colours, Metallic Blue, Metallic Green and Metallic Orange. 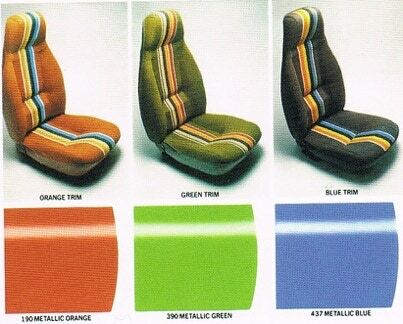 They also had colour coded interiors with the deck chair striped fabric. The pictures below highlight the difference between the earlier 1972 x1/9 and the series special. What makes the Series Special a Series Special? There was ladder markings on the side and also a X1-9 logo on the side pillar. It sported a full black front rubber spoiler, black mirrors not chrome. The series special was also to come with Carello fog-lamps and matching luggage as seen above. However it’s a bit of a mystery why we never got them here. The fog lamps did not pass ADR as they were yellow in colour. However you could buy them as a optional extra with clear lenses. The luggage was already discontinued by the time we got our first delivery of X1/9’s in Australia in May 1978. 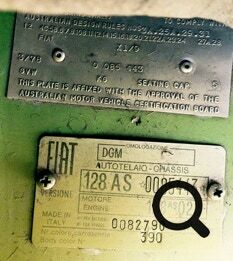 The Series Special also had individually numbered stickers placed on the passenger side with the Australian flag and Bertone’s signature. I have been collecting data on these stickers and this is what i have found so far. If you have an original sticker chances are it would now be faded white when originally it was a light silver. The numbering was also unevenly printed. If you look at the 9 in the picture you notice it’s higher then the number 2. The reproduction stickers i have seen are a darker in silver and the number lines up like it was computer printed. From investigating i have found out that dealers were given a bunch of stickers to put on the cars them self. What they did overseas was you got the sticker in a envelope with the car when you bought it and you put it on your self. The three example here show the first chassis number as 93722 with sticker 0144. Yet only 10 chassis numbers later 93733 is at sticker number 0329 and has jumped 185 stickers forward. Stickers continued to be placed on cars for years to come. There were only meant to be placed on Series 1 however some dealers had spare and continued to place them on the series 1.5 and series 2. The are generally in order as you don’t see low numbers on series 1.5 or 2 they tend to be in above 1000. The series 1 and 1.5 shared the same boot emblem. The later five speed logo was only found on the series 2 only. The series 3 did not have any emblem in this location at all. Australian X1/9 owners only ever saw two mirror types. 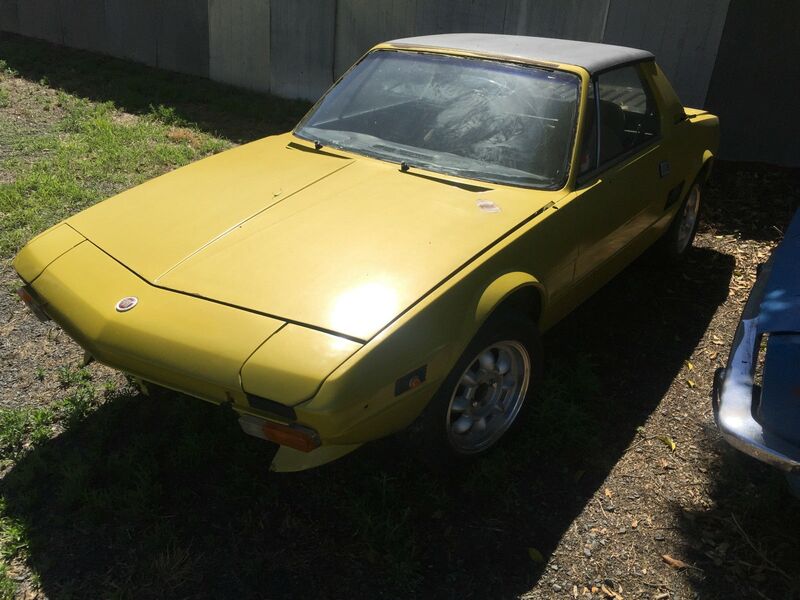 The first being the 1978 version on the series special, this was delivered with black mirrors and legs on the drivers and the passengers side. 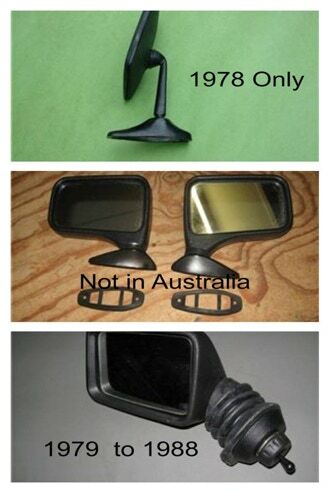 These mirrors came in three other combinations sometime seen on X1/9’s in Australia. First is a full body chrome with chrome leg, second is a chrome body but black leg. Lastly a full gunmetal grey body and leg. From version 1.5 so 1979 onwards it was always the through hole type on the drivers window only. We were the first in the world to get this type of mirror. 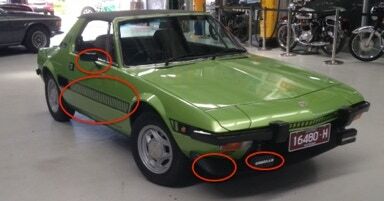 The series 3 (Bertone) had mirrors on both passenger and drivers side. There were three different bumpers over the 4 series of x1/9’s. The series 1.5 had the combination of large aluminium bumpers with no holes for a number plate light. Instead it has the same as the series 1 side mounted number plate lights in the colour black. 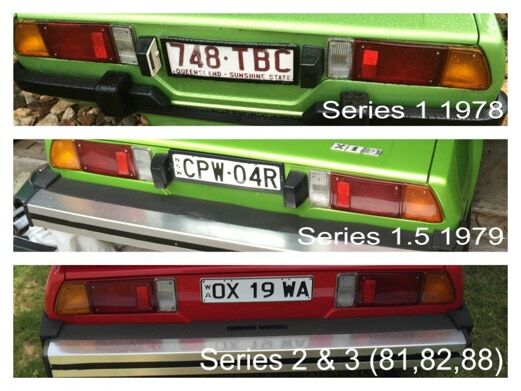 Notice the series 1 number plate lights internal components were silver or cream in colour not black. The correct placement of this sticker is on the passenger side front panel above the ladder stripes like the picture above with Niki Lauda. I have found numerous cars delivered in Tasmanian have their sticker placed below the stripes. Not sure why the dealer placed them in this position but it was very common. The series 1.5 was unique to the Australian market only and is sometimes referred to as the hybrid model. These X1/9’s were badged with the compliance date of 1979 & 1980. This X1/9 looked like a series 2 with it’s large aluminium bumpers and modernised interior. 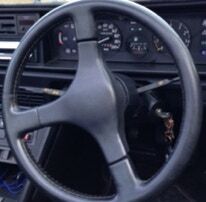 However it had the 1.3 litre 4 speed as in the series 1. Series 1.5 were between VIN’s 128AS0098000 to 128AS0125805. 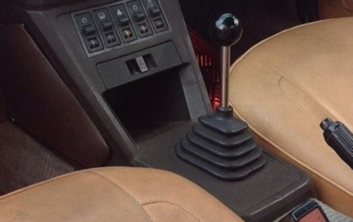 For the rest of the world if you have a VIN in this rage it was a 1.5 litre 5speed. There are a few stories out there. Some say that the bumpers were changed in order to comply with Australian safety standards of the time. Others say that the new 1.5 litre engine did not pass compliance yet so the older 1.3 4 speed was continued until compliance was reached. 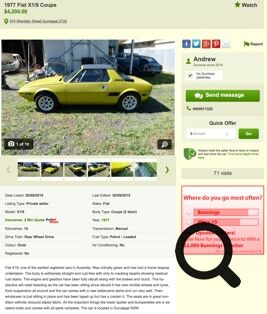 Another possibility is FIAT needed to clean out there stock of the 1300cc engines and 4 speed gearboxes. Australia did always seem to get the last of the batch shipments for all series. We never saw a glove box on any of our Series 1 X19&apos;s in Australia. As it didn&apos;t comply with Australia Design Rules at the time to do with leg room and obstructions in the cabin. Series 1.5 onwards a glove box was featured as seen here with no logo under it. Series 3 was the same as the series 2 however the logo changed to just a signature. 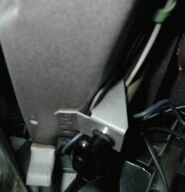 On the series 1 before VIN:128AS0090258 has the front boot release under the drivers left leg. 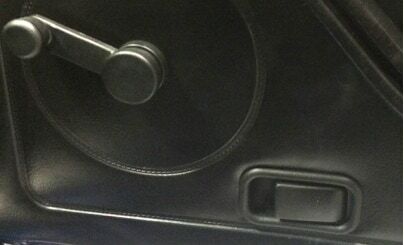 The mechanism was a pull down handle type. This position was chosen because X1/9’s were originally only LHD. 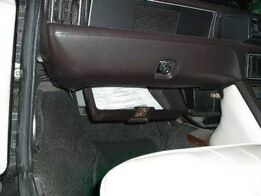 This location would have put the boot release in the glove box locked away when the car was LHD. There are not many X1/9’s delivered this way in Australia. 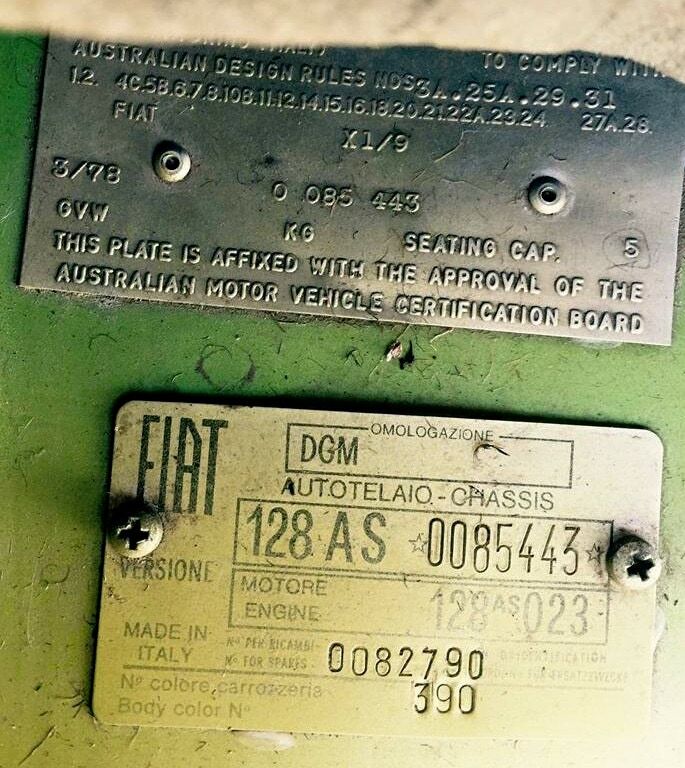 An announcement from Fiat on the 24th of August 1978 stated that the position and mechanism was changed to a leaver and was now located next to the passages left leg and remaind there till the end of production. Reference FIAT service document 701-23. You can download the pakage from here. 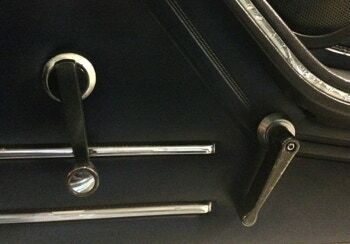 The doors on a X1/9 are the same on the outside however the series 1 internal door handles and mechanisms were different. The handles and window winder were in different locations. If your looking to replace your door make sure you buy the correct door for your series. Correct cap is 13lbs / .9 bar. 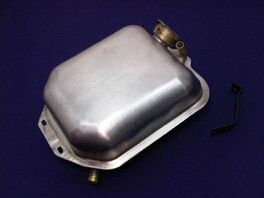 The series 1 had a stainless steel expansion tank. 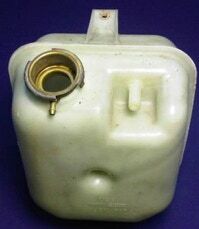 From series 1.5 (1979) onwards this was changed to a plastic expansion tank. 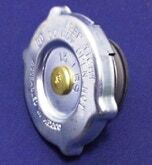 The often split because the wrong cap is fitted so the pressure is not release and the tank splits. The stainless steel tanks are more reliable as they don’t explode unlike the plastic ones do as they age. 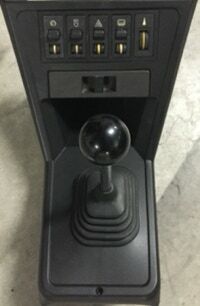 The centre console did change with each series but none more so then from the Series 1 to Series 1.5, The Series one had all controls on the centre console and none on the dashboard besides the pop up headlights that have remained in the same position throughout all series. 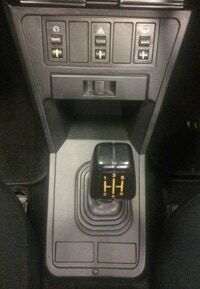 The series 1 and 1.5 had no option for power windows, from the series 2 onwards the option was there but never installed by dealer or factory for Australia. 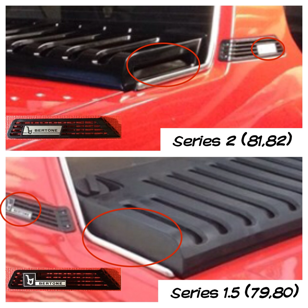 On the series 2 there are blanking plates and wiring ready to use should you wish to install them. 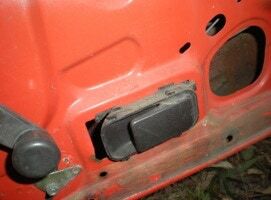 All series 3 had power windows. 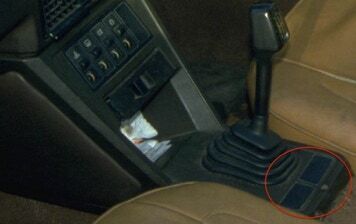 The gear knob was the same on the series 1 & 1.5 but changed to an unusual shape that often broke apart in the series 2 before the more practical one in the series 3. 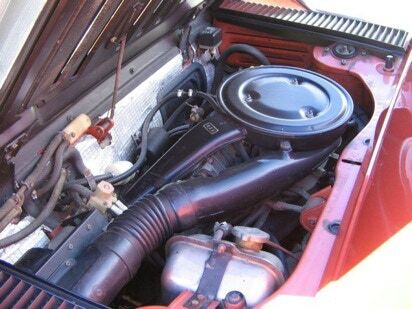 The engine lid on the series 1.5 and 2 look the same but the series 2 had a extra vent on the side. 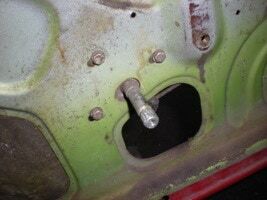 This was required for better air flow on the fuel injection models that we did not get over here till 1987. The extra vent was on the passenger side of the engine bay lid as pictured above. The pillar logo from February 1982 changes to the one you see here on the series two. This new logo designed continued till the end of production. I believe if your X1/9 series 2 does not have one of these plates then it was built in 1981 regardless what your compliance plate reads. 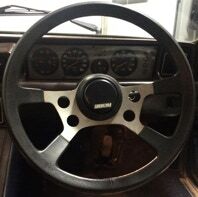 The series 1 steering wheel was similar to the series 1.5 & 2 however the mechanics behind are different for the horn to work. So they are not interchangeable without modification. The centre part was silver on the series 1 yet black and silver on the series 1.5 & 2. Both displayed a different style Fiat logo in the horn position. 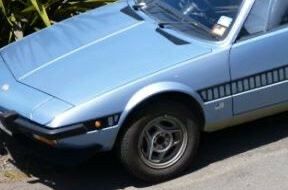 The Series 3 was a new designed altogether and now displayed the Bertone logo in the centre. 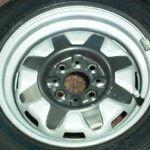 There was a few types of rims supplied in Australia. There was also many imported and local wheels, including some manufactured by Cromodora. Dealers of the time also offered upgrades at the time of sale. The pictures here are of the factory range offered across the series. The instrument cluster in all series only ever displayed in Kph. 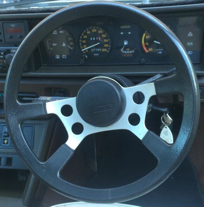 The series 1.5 was also sometime supplied with a clockwise tachometer. By the time the series 2 came out all tachometers were now going anticlockwise. 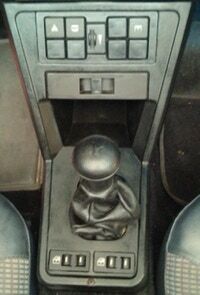 The FIAT logo remained in the centre of the console untill the series 3 where it was then changed to read Bertone. 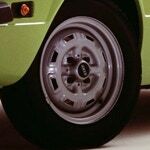 There was also a Bertone logo in the centre of the tachometer. The wording ‘Unleaded Fuel Only’ was now displayed in the fuel gauge. The KM odometer on series 1 through to 2 only had 5 decimal places and was 6 by the time the series 3 was released.